2019 - Happy New Year from the Independents of Warminster ... The town faces real challenges ... Are we up for them? In 2013 Paul Macdonald showed that the local Tory stranglehold on the county council could be challenged - Look at the result - Can you make a difference and vote for Independents all over the town? 2 May - Five hours into leaflet delivering tired Independent candidates were spurred on to do another 180 minutes - Her request was to sort out inconsiderate dog owners. 14th - Question asked - Conservative MP Andrew Murrison opposes Home Farm plan - Tory town councillors opposed him on Monday night - Who is right? 14 November - Neighbourhood Plan result on Thursday - Very poor turnout - Yes 1660 - No 477 - A big NO - Three years Town Council work should have much more support - question - Why did so many vote against? 30 October - Independent Councillors asked for more info - front page news about 'Neighbourhood Plan' town council response to 'referendum' poll cards - Is it too late for another public meeting? 28th October - The Referendum' is held under rules similar to spending at a council election - We at vfw are aware - We have a record of our nominal and actual expenditure - Are others and local newspapers following the rules? 25th October - The remodelling of the police houses - the relocation of the Friday market and the coach stand - asked today - and single management regime for all car parking is in the Neighbourhood Plan - How will you vote? 24th October - Are the rumours about a threat to our popular town Library real or baseless? - Asked yesterday - The Neighbourhood Plan 'public' vote next month is on 'the provision of enhanced library facilities' with no location mentioned - Is it 'councilspeak' for knocking it down and 'dumbing it down? 16th October - Polling cards are on the way - over three years of meetings publicity and consultations - lack of awareness reigns - What is the Neighbourhood Plan? Are townsfolk finally taking notice? 12th October - Town Council opposes a referendum being triggered if it tries to put its local tax levy (precept) up by more than two-per-cent - what do you think? 4th October - Council meeting hears Independent Cllr. Steve Dancey challenge them to think again - Neighbourhood Plan which goes to referendum vote next month - Vote against? 2nd October - Residents ask us today - The Copheap declaration of result by Wiltshire Council elected 'JEFFRIES Stephen Andrews - The Conservative Party Candidate' - 105 elected' Knight James - The Labour Party Candidate - 23 - MELLERSH Malcolm Independent 53 not elected. 28th September - The public unaware about what is proposed for their town - Councillors on Monday at the Civic Centre 'Town Development' meeting being asked to decide publicity for it - Will you be there? 27th September - Neighbourhood Plan on 're-modelling' the town centre including the police houses, library and all land there but clarity lacking about the detail - Does 'The Avenue' public need to rally again? 22nd September - Malcolm Mellersh - Copheap by-election - 'Independent surges into second place on the day' leaving Labour trailing well behind. Tory wins safe seat. Independents are now more encouraged to stand in every seat in the town next May. 19th September - Copheap by-election - Independent councillor Paul Macdonald puts his shift in supporting Malcolm Mellersh delivering leaflets. "I received a positive response when I explained why - keep party politics out of the town council - 'Independents Are Needed'." 8th September - A resident of the Copheap ward has kindly agreed to host a 'Meet Malcolm Meeting' before you decide how to vote. 6th September - Polling cards have been sent out. Those who are registered for postal votes will be able to vote from next week. We ask them to wait until they have received the party political leaflets. Then read the one on behalf of Malcolm Mellersh. Monday 13 June - TORY town Councillors give WC Radio £50,000 over next five years - and opt to axe threatened ash tree despite calls by environmentalist. Will town tree-huggers re-appear? 21 March - Warminster's High Street scaffolding eyesore sold at auction this afternoon for £150,000. Buyer unknown. Future unknown. PETITION - to sign the national anti-fracking petition click HERE 39,000 people have signed so far but 100,000 are needed to make MPs debate. Town Councillors Steve Dancey and Paul Macdonald have moved the following motion to be considered by the town council on Monday 21 September. 15 July - Town council advises rejection of Redrow proposal for more than 200 homes west of St Andrews Road. 16 June Byelaw banning cycling in the park will stay, town council decides. 25 May - Last call for cuckoo at Home Farm? CLICK HERE Oops Danny puts me right!!!! 24 May - Who is the first councillor to be described as 'scurrilous' in the minutes of a town council meeting by a co-opted member? Independent Councillor Paul Macdonald. Which Councillor Next? 21 May - Carry on Curryhouse as planning advisory committee accepts a takeaway at the town's busiest bus stop. (You can't make it up!) CLICK HERE (Now includes public comment added 23 May). 15 May - In Hot Snippets .... Carry on Camping sequel - Will it be welcomed? Town Council rookies to get top jobs. Monday agenda surprises in store for the public. 8 May GENERAL ELECTION RESULT ANDREW MURRISON wins S W Wilts with a vote of 27,198, UKIP's Matthew Brown with 9,030, Labour's George Aylett 6,948, LDem Trevor Carbin with 5,484 and Green Phil Randle 2,985. 2 May If you missed the hustings today Monday 4 May sees WCR air it again at 11am and 5pm. 25 April - A big question needs to be asked. If two elected town councillors, Cullen and Fryer, neighbourhood plan group members, now support local resident Tracy Scott to oppose a key part of its work why was it in the plan in the first place? WE will ask them. Town councillors and former councillors are interested in being there ... The Avenue 'new road' protest action day. Friday at 12 noon. 19 April - In hot snippets ..... How much free car parking will Warminster town centre have in 2016? Residential streets only. pril - Ten pledges specific to Warminster being drawn up for would-be MPs. The future of the cottage hospitals is first. A River Wylye controversial planning 'Happiness and Beauty' decision. After today's 'cycling 'surgery' Cllr. Paul Macdonald adds reviving government support for shops and pubs in the town and 'where will the jobs be provided for Warminster'. 14 April - Consultation count down. Working group announce the details of a new chance to take a look. Princecroft School on Friday 24th April at 2pm. Update - 16 April - 'Disappointment' being expressed Click on Neighbourhood plan revealed. 13 April - 1200 houses latest. Wiltshire Council seek the views of residents. Town sets up a 'working group'. Town councillors Macdonald and Cullen successfully insist that it includes the whole town to make sure developers come clean about the overall impact. Click on hot topics. 12 April The most important meeting of the year for the Town Council. Residents who freely want to question their town councillors on any matter that relates to their town can do so. First the Mayor and then councillors have to reply unlike the frustration of regular council meetings. It is the annual parish meeting on Monday 20th April. 9 April - Nominations close at 4pm for the general election. Latest - It is a five horse race with only one also-ran back at the gates - ten pledges they could make for our town in ten days time - Will they agree? 'Town Park asset transfer' under coalition government Localism Act powers. 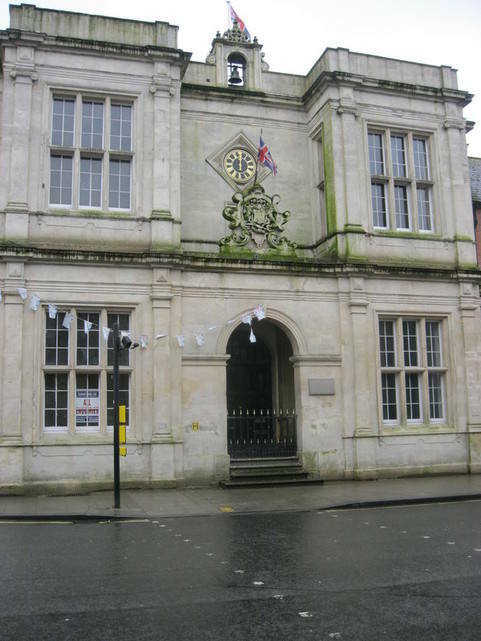 Wiltshire and Warminster Town Council dealings. 'We want to save this' say Independent Councillors. Do you agree? Will the real 'Master Plan' please step forward? 1200 not 900 homes 'outcry' takes centre stage as another 'exclusive' working group looms large. Town planning meeting on Monday. An independent hot topic will follow after more of you have taken a look. The 'Scob' reported to the unitary authority 'Area Board' since its formation. Can you let us know what sense you make of their work? And the Neighbourhood Plan consultation. The Wiltshire Council SCOB driving forward the future of Warminster? We will show their work to you online. Does our town have a real choice? Wake up is the call! HERE It is in black and white. No council 'pot of money for Warminster campus'. Developers' cash from a town centre 'regeneration project' is the way forward for a 'Shadow' group. Free parking continues to disappear into the annals of history as Wiltshire Council looks to off-load its problem un-profitable car parks including the ludicrous meter at Fairfield Road. GENERAL ELECTION coming to Warminster. Churches Together will stage a public election meeting at Christchurch on Weds 8 April. The hustings will be chaired by the suffragan Bishop of Ramsbury Rt Rev Ed Condry. 4 Feb - Wiltshire Council gives go-ahead for Gipsy Lane 'social' housing scheme. 18 Jan - Warminster Town Council voted 'in principle' to take on ownership of the park. Pictured above - Warminster's town hall hill in Edwardian times. All buildings in good repair! Much more this Wednesday .... Near £1 million request from a Warminster 'Trust' hot topic. .... And on what appeared to be a very quiet interlude during the proceedings at the Warminster Town Council meeting the draft budget 'increase of 1.3 per cent' introduced by the town clerk at the behest of the Mayor Cllr. Andrew Davis heard almost nothing from town councillors. Sunday's Post .... IS there a back-door attempt to change the recent council decision taken on settlement boundaries? Sunday 16th November ... At a full town council meeting tomorrow should councillors show 'good-neighbourliness' to the tiny parish of Bishopstrow .... who should be in the 'pecking order' for a new fund of cash .... the 'vote of no confidence in Wiltshire Council' resolution .... as the councillors also deal with a complaint against a 'dual-hatted' councillor .... and look at their budget for next year .... and if that was not enough irrespnsible dog owners and the WW1 'Gold Project' .... the future for youth services in the town .... and taking the town park off of the hands of the Wiltshire Council .... 'We invite you to have your three minutes say' say Independent Councillors Nick Dombkowski, Paul Macdonald and Steve Dancey. MORE Breaking News- Warminster's East Street Esso Garage ( sometimes known as Wall's Garage) to be closed for three months for refit. Friday October 31st .... Wiltshire Councillor allowance latest update ... Cllr. Christopher Newbury remunerated £25,166.36, Dual-hatted (town and unitary) councillors Andrew Davis rewarded with £19,246.13 and hard working ward member Cllr. Pip Ridout gets £16,900.69p. We will leave these images to reflect the marvellous effort that is made by Warminster during the Carnival season. Please look below as well. 27th October .... Two area board councillors now bank in excess of £30,000 each year .... 23rd October .... Whopping £50,000 increase in our local unitary (all Tory) councillor income finally revealed for 2013-14.
visionforwarminster.co.uk first headlined the issue in Councillor Allowances 2011 (menu left). Councillors Steve Dancey, Paul Macdonald, Nick Dombowski, and Andrew Davis, after the huge public turnout supported by the words of Cllr. Sue Fraser recommended that a settlement boundary must now be as tightly drawn around the town as possible and will see Home Farm, Spurt Mead, the town park, football ground and Tynings outside the 'limits of development'. 14th August - Town councillor finds drugs during town centre litter-pick ... CLICK HERE. Saturday - 'It never rains but it pours yet the roads are awash with water in Warminster' ... Cllr. Paul Macdonald. 'Local people are fed up with telling me about this and nothing happens' ... 'A billion pound business boast' hot topic to follow. Friday - Hot Snippets ... Portway flooding ... Gullies 'Rain Check' ... Two-hats Humphries 'Humph' challenge from Cllr Paul Macdonald. Weds 14th May - By-election looms as Steve Welling resigns - see hot topics. 22nd February Today at 9.30am the public were waiting outside as 'civic pride' is restored to the centre of Warminster in what may go down as a historic moment. Treasured by so many the Town Hall given to the people by Lord Bath's family all those years ago is coming to life again thanks to Sarah-Jayne and Stacey in the aptly named 'Town Treasures'. 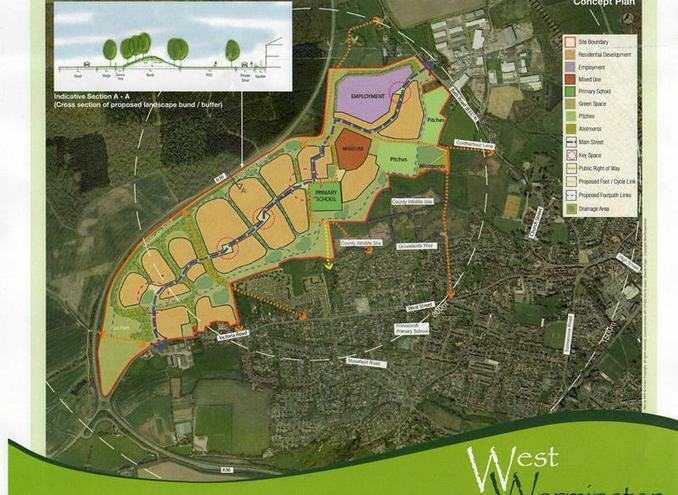 29th January 2014 Warminster's four widely criticised 'Chocolate Teapot Politicians' used their advisory role to support the extremely unpopular development of the Boreham water meadow . It was against the unanimous view of the local ward councillors. It is now with Wiltshire Council. So are over 40 expressions of local opinion. Another deadline will emerge as the community campaign continues on the street. Will a TV personality and a landowner listen to residents and obey planning policies? See www.dannyhowell.net for local reaction. Wiltshire Council and Planning Inspector still agree in their core strategy deliberations. We, the town of Warminster, are still a priority for employment. Town council confusion has arrived again. Shop jobs by building more houses. VFW argues that more employed workers that then shop in the town is the answer.